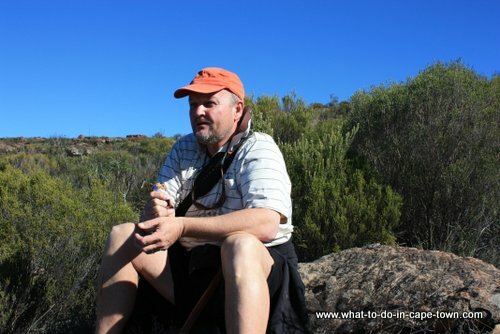 About Me - Why I know Cape Town so well? About me - My name is Danny Jacobs and I was born and bred in this most beautiful of cities, Cape Town. After school I did my compulsory military training, based in Cape Town. Thereafter I studied teaching, majoring in Geography, followed by five years as a primary school teacher. Since then I've been in the insurance industry, but at present I'm a full time teacher again and a part time web site builder. My home language is Afrikaans, a language I'm very proud of. I have however decided to keep this site English to share this wonderful city with so many more people. I will however also be adding titbits of Afrikaans now and then, but please do not not feel left out, as I will only be highlighting something I have already said. http://wiskunde-graad-7.blogspot.com - A site for maths learners in grade 7 and 8 in my mother language, Afrikaans. And I've challenged myself to keep on improving my site building know-how and I've even made this challenge public to keep myself accountable. Read more about challenge 2013! 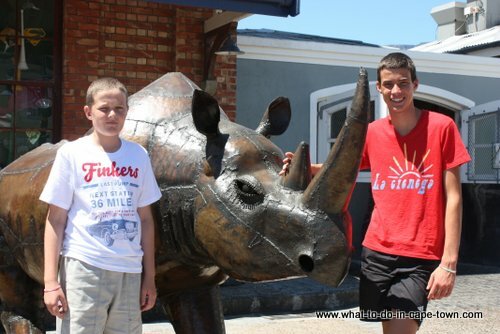 I'm happily married to Liezel, a primary school teacher and have two beautiful sons, Daniël and Nico. 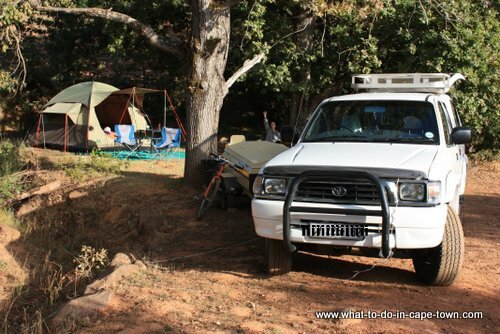 We are a family who really enjoy the outdoors and Cape Town is a great place to live an outdoor type lifestyle. Me - Content builder, photographer, tea boy and jack-of-all-trades. 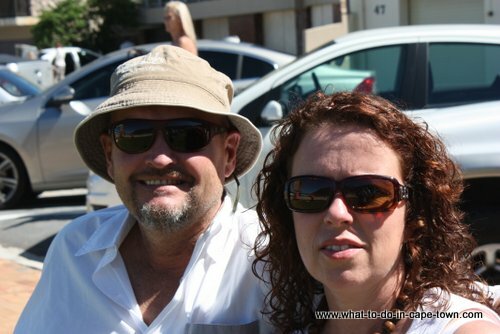 Liezel - Photo editor, moral supporter, cook and trip planner. Daniël - General assistant and assistant photographer. Nico - General assistant and joker. What qualifies me to tell you more about Cape Town? Firstly, I have lived and enjoyed this city for more than 40 years. I do believe that this qualifies me as an experienced Capetonian. As a family who makes a habit of enjoying what this city has to offer, it gives me a real insight into what children enjoy and where to stay clear from. I want you to have a great experience in my city and I want to make sure that this site is the start of this positive experience. Enjoy your stay and please let me know if you have stumbled onto a great attraction that I have not yet added to the site!! Building this website is one of the most fulfilling things I have ever experienced. It is great to see your ideas finding a place on the site. An even better feeling is to know that until a short time ago, I did not have the faintest clue on how to even start with the building of a site. 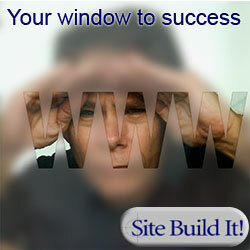 I stumbled on a site called Site Build It by chance. 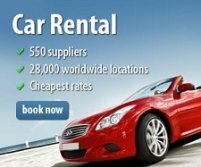 It promised all the tools necessary to start your own web business. Being an extremely cautious person by nature, I visited many times over a long period of time.Every time I left the site, I thought to myself "this sounds too good to be true, so it probably is." Eventually I signed up and building this site have been an extremely positive experience for me from the beginning. Not only do you really get all the tools, you get lots of support from a friendly group of fellow SBI'ers on the forums. Is it easy and do you start making money immediately? No on both questions. But I must add that with the necessary effort and willingness to work hard, you start getting the satisfaction of being a real businessman, running a real business. On this voyage you you'll learn about the "C-T-P-M process" and if you stick to this blueprint (and work hard and long hours!!) you WILL be succesful. 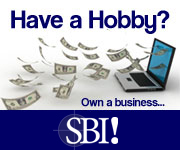 Many SBI'ers have used this process and were able to become full-time business owners. Click here to read the stories of some of these people. So if you ever have the urge to start your own site, be sure to look at Ken Evoy's site Solo Build It.